Why wait in the queue, when you can...? Still Snoring? How's Your Life....? 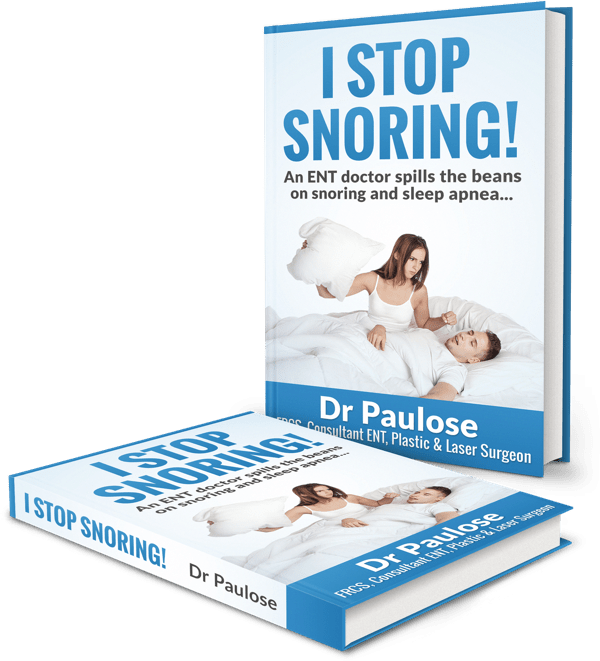 Buy eBook - I Stop Snoring! In a rush? Need to see the doctor? Ready to see some live action? It is better to give, than to receive! Grab The eBook - I Stop Snoring Secrets! "Dr Paulose is a distinguished Consultant ENT, Plastic and Laser Surgeon. His special skills are to be found in the fields of cosmetic surgery and the investigation and treatment of snoring. These videos, prepared over many hours, seek to give the viewer the closest view of Dr Paulose's work." "Dr Paulose's professional career has been distinguished and successful, and I regard him today as an excellent surgeon and doctor." "My snoring was so bad that my wife often made me sleep in a different room. Thanks to the advice of Dr Paulose, I'm cured. Happy wife, happy life!" "I had all the information I needed to know before seeing the doctor. He was surprized about my knowledge about snoring. This helped me reduce his consultation time, get to the point, and more importantly get cured and breathe easy!" 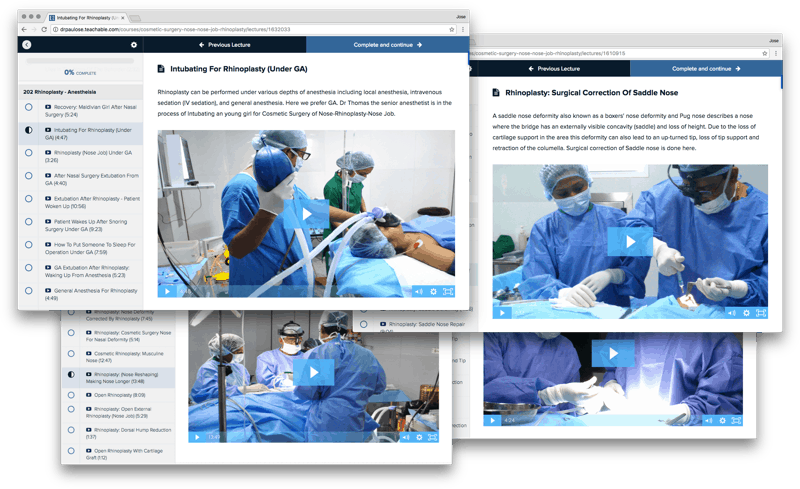 Browse, share, and discuss more than 1,500 high quality educational surgical videos including the latest surgical techniques for the ENT specialty produced by Dr Paulose, FRCS, DLO - one of the world's leading ENT Consultant Surgeons.